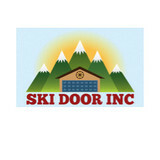 Ski Door Inc. was founded in Wilmington, Vermont in 1994 by Benjamin Morgan. In 1997, John Marchinkoski joined Ski Door as Vice President. The office and warehouse moved to Castleton, Vermont in 1998. Ski Door Inc. believes that customer service and satisfaction paired with quality products and reasonable prices are a must. Empire Overhead Doors is a family-owned and operated company located in Schenectady, NY and surrounding areas. With over 20 years of experience in our industry, you can enjoy the benefits of our experience and quality craftsmanship for all your overhead door needs. We are invested in providing you with high-quality products and installations that provide many years of durable service. At Empire Overhead Doors, it is important to us that you learn everything you want to know about the garage door industry. We want our process to be transparent, and we never want you to feel confused or have any reason to doubt our honesty. We will offer you details about required repairs, and we will propose all possible solutions to provide you with choices that work for you. We will never try to sell you products that you don’t need. We wish to earn your business by establishing trust and providing you with high-quality products and services at fair prices. When we meet with you, we’ll provide samples of our products and make our recommendations for the ideal garage doors that match your needs. By being able to touch and see samples of our doors, you can choose the door that fits your purposes, offers insulation and holds up to heavy use. With a variety of features and types of installations, we’ll ensure that you have the right kind of overhead door to meet your unique needs in Schenectady, NY and surrounding areas. For more than a decade, Greene Overhead Door has been sprucing up Albany by repairing and installing quality overhead doors. From garage door spring installation to garage door panel repair, Greene Overhead Door is the name to trust for all your garage door repair and installation needs. We have been serving the Capital Region for over twenty years. Overhead Door Co. of Albany, Inc. is an active member of The Capital Region Builders and Remodelers Association, TV3C Albany, Southern Saratoga Chamber of Commerce. We have a 12,000 sq. foot warehouse and show room facility with several full-scale model operational doors and openers for your review, along with a large selection of parts to meet all your garage door and opener needs. Furthermore, we have eight trucks on the road to meet all the necessary warranty and service requirements for your convenience. We are a well-structured, well-disciplined and well-managed company, and we are local and offer the best product and rates in the industry. 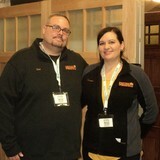 The owners, David & Kimberley Ripley, take pride in their company and understand the importance of customer satisfaction. We are proud of the company we’ve built over the last 30+ years. We have worked hard to serve our customers with integrity and quality doors, parts and service. Our staff is well seasoned and professional. From our experienced sales people and office staff to our expertly trained technicians, we stand ready to service our customers. We have worked hard at being quick to the problem, reliable and professional on the job, and all at the same time, known for fair and accurate billing. Whether you are looking for an economical uninsulated door, a high-end stain grade carriage house door, a mahogany gate or a 40 x 20 rolling steel door, we are here to help. Family owned and operated, Murphy Overhead Doors has been serving the homeowners, contractors, and businesses of the Capital District for over 60 years. We provide sales, service, and installation of both residential and commercial garage doors and electric operators. Our experienced technicians and courteous staff have established an outstanding reputation for prompt service, professional installations, and high quality products. Murphy Overhead Doors is proud to offer the full line of industry-leading Raynor Garage Doors, offering the best combination of style and quality on the market today. As a testament to our workmanship and professionalism, Murphy Overhead Doors is a proud member of the Capital Region Builders & Remodelers Association, the New York State Builders Association, and the National Association of Home Builders. 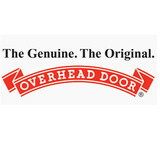 For more information about Murphy Overhead Doors—and the value we can offer to homeowners, homebuilders, business owners, and contractors—we invite you to view the many products and services profiled within this Web site. Better yet, visit our showroom at 1148 Central Avenue in Albany, two miles east of Colonie Center, to see working models firsthand. For additional information, contact a Murphy Overhead Doors company representative at 518.459.3610 to arrange a consultation at your home or business. Garage Resource for customization or residential garages. Garage cabinets, garage floor coverings and coatings, overhead storage, auto lifts, garage decor and more. We professionally install garage doors. 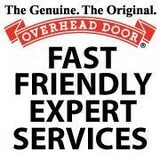 Call the consultants at Top Garage Door Company Services. Same day overhead garage door repairs service in Albany, NY. We offer service like residential, commercial for garage door repair, maintenance and installation and can return to your house constant day with best technicians. What kind of services do Manchester Center, VT garage door dealers and installers provide? Garage door professionals specialize in the selection and installation of residential garage doors and openers that fit your budget, style and needs. This includes choosing a garage door style — or designing a custom garage door — that blends in with your home’s exterior, selecting materials, determining a technological system that supports your security and access needs, determining proportions and dimensions, finalizing decorative designs and ensuring that everything meets Vermont compliance and building codes. 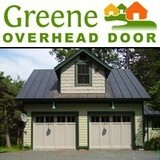 Find garage door sellers and installers in Manchester Center, VT on Houzz. Narrow your search for Manchester Center, VT garage door sellers and installers by selecting the nearest city or zip code. Look at portfolio and product photos, and read reviews to find the best Manchester Center, VT garage door professional for your home.